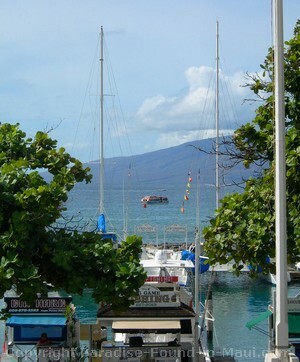 Lahaina Harbor is THE place to go if you're in West Maui and need to catch a ride for your next adventure at sea. Once a safe refuge for whaling vessels and freight ships, it's now a home to numerous sailing boats, catamarans and other sightseeing vessels. 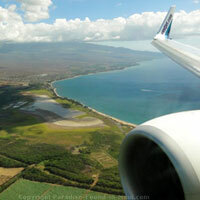 There are often cruise ships visible offshore here, with their enormous hulls glistening in the Maui sun. 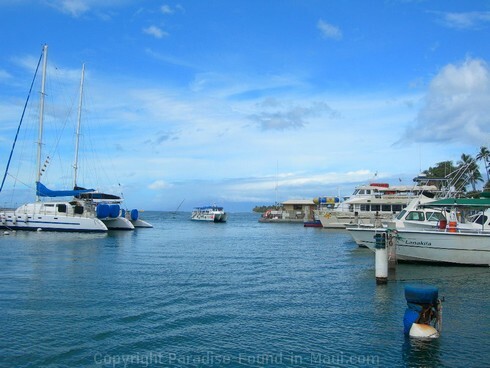 We've been here to catch our ride for a memorable Molokini Crater snorkeling trip, a romantic sunset cruise and to head out on the Atlantis submarine. 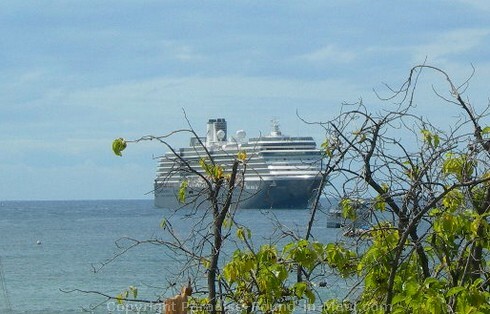 Needless to say, this harbor is a popular spot with the tour companies for boarding their passengers. 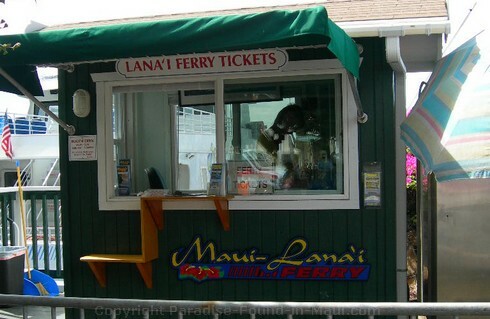 The Lahaina Ferry also docks here, and is a popular way for daytrippers to travel to the neighbouring island of Lanai for a reasonable cost. 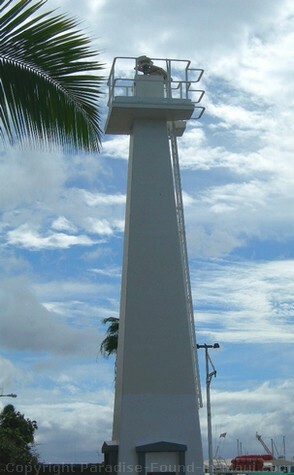 The Oldest Pacific Lighthouse (pictured right) can be found near the end of the harbor. It was the very first lighthouse in the Hawaiian Islands, and is older than any lighthouse on the mainland Pacific U.S. coast as well! 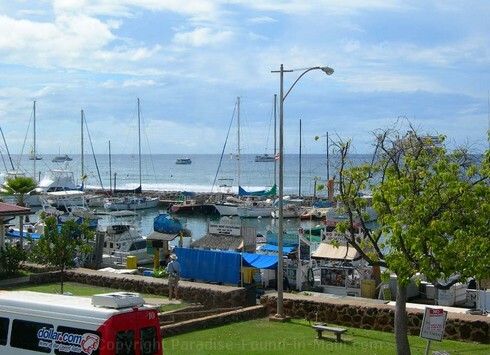 Back in 1840, Kind Kamehameha III decreed that a 9 foot wooden tower be erected here to aid the navigators of the whaling ships anchored offshore. A Hawaiian caretaker was paid $20 per year to care for the structure, and keep the whale oil lamps burning brightly overnight. In 1866, the tower was made even higher, to 26 feet, and the current concrete version was built by the U.S. coast guard in 1916. 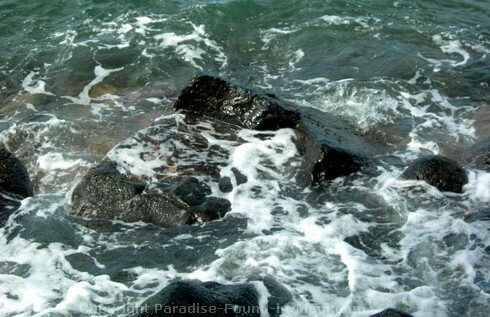 The Hauola Stone (pictured below, means "extending life and health") is an unusual stone that you'll find just north of the Lahaina Harbor, partially submerged, if you look down over the seawall. There is a plaque to mark the spot, so you can't miss it! The stone is hollowed out a bit, kind of like a seat. 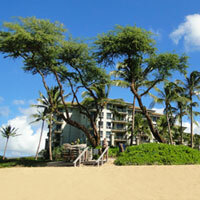 In the 14th and 15th centuries, Hawaiian royalty would use it as a birthing stone. More recently, it was used as a healing stone - it was believed that the mix of salt and freshwater here had healing powers. Kind of cool if you ask me! 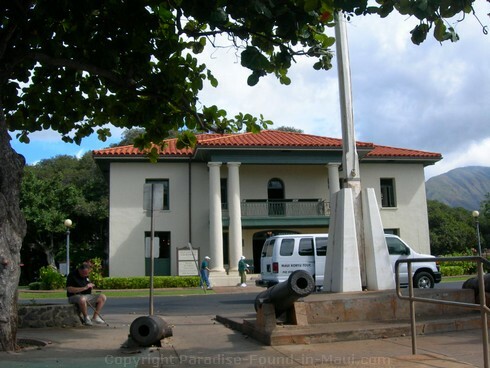 Right across the street from Lahaina Harbor you'll find The Old Lahaina Courthouse. There is a museum inside, a visitor's center, and the old jail in the basement has been turned into an art gallery. 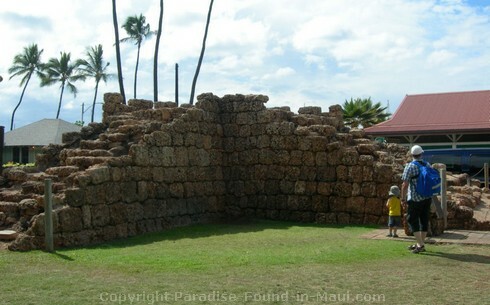 Next door to The Old Lahaina Courthouse, and still right across the street from the harbor, you can check out the reconstructed coral and sand walls of The Old Fort. 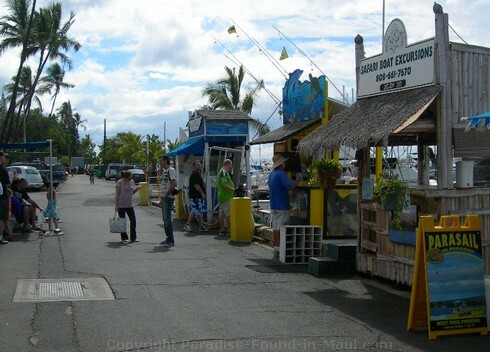 There are public restrooms available adjacent to the harbor. There are also tons of shops nearby where you can purchase food and drinks. There is lots of parking available on the streets surrounding the harbor area. However, since these fill up fast, it's good to have a backup plan. The backup parking plan? At the intersection of Front Street and Canal Street, there is paid parking lot behind the Burger King there. Drive along the small roadway that runs beside the Burger King and you'll see a decent sized public parking lot. You'll have to pay to park here, but it's worth it to avoid endless driving around in search of the elusive free street parking. 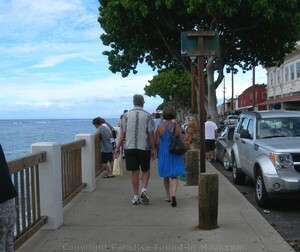 Lahaina, Maui is a captivating town that is full of nooks and crannies to explore. 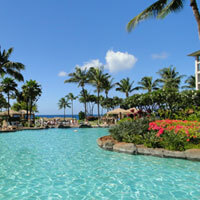 There are loads of things to see and do here: casual and fine dining, great shopping, museums, luaus, art galleries and parks.